All text by, and copyright of Maz Woolley. Photographs supplied and copyright of the Manufacturer. 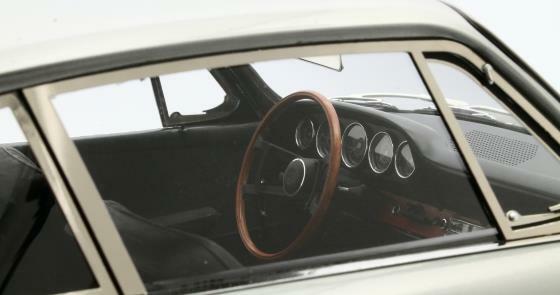 55 years ago in 1963 the Porsche 901 was first shown to the public at the Internationale Automobil-Ausstellung (Frankfurt Motor Show). 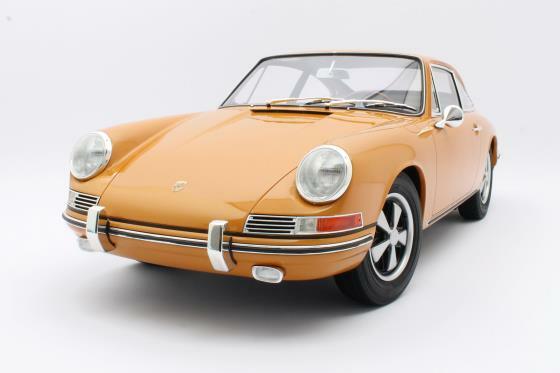 By 1964 the first cars were reaching the hands of garages for sale as the 901 but when it was shown at the Paris Motor Show Peugeot pointed out that they had already registered numbers with a 0 (zero) in the middle and Porsche had to rename the car and chose to call it the 911 a name which is still with us today. 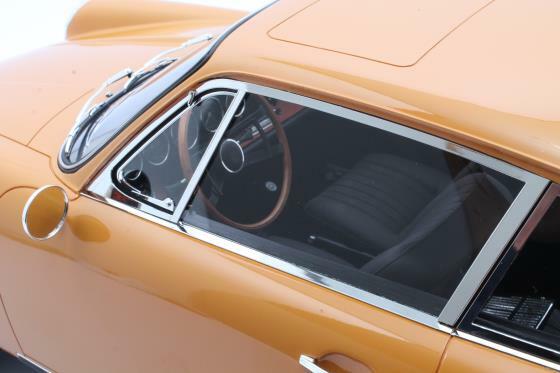 The work on what became the 911 started in the late 1950s with sketches by Ferdinand “Butzi” Porsche of a larger and faster replacement for the 356. 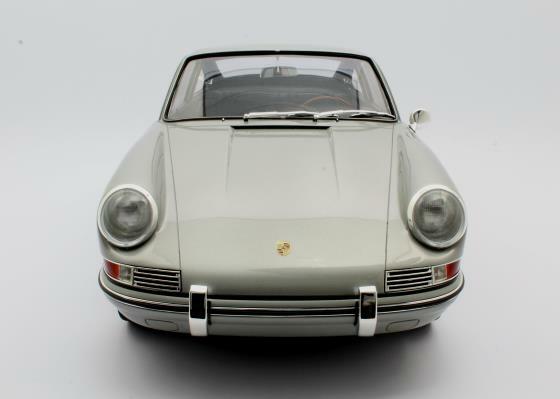 The 911 when launched had a boxer six cylinder engine of 2 litres and could seat two small rear passengers as well as driver and front seat passenger. 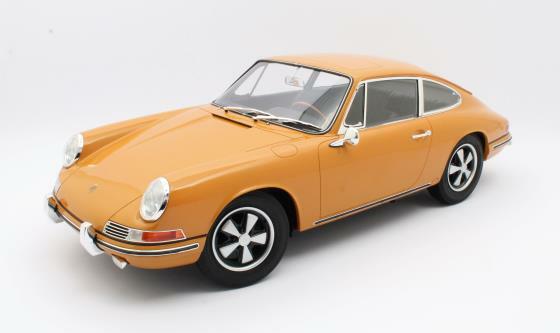 We have recently seen a trend for model makers to produce to larger scales with lots of 1:18 and quite a few 1:12 scale models launched recently. But here Matrix go even bigger presenting a museum standard scale model made in China in Resin for the Netherlands to 1:6 scale. It has taken almost 2 years for Matrix to develop this large model. A small team of engineers has worked on this and has had a few false starts and the need to rework many parts as they have worked to capture a car in this large scale for the first time. It takes more than 245 parts build this car. 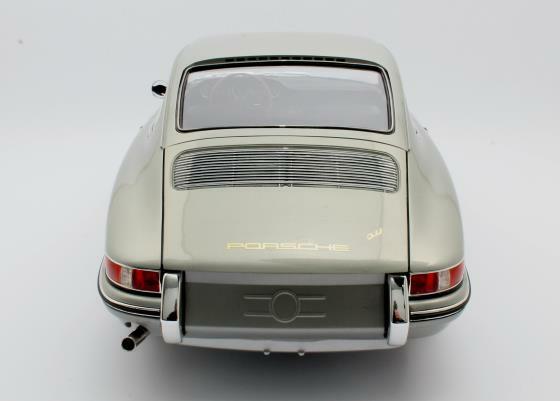 Even the smallest light bulbs and the seat rails are modelled as are the Porsche logo on the horn and the under bonnet grille. Matrix have launched the car in silver metallic and bahama yellow. It is also possible to get Matrix to make a ‘bespoke’ version build to your own specifications at extra cost. 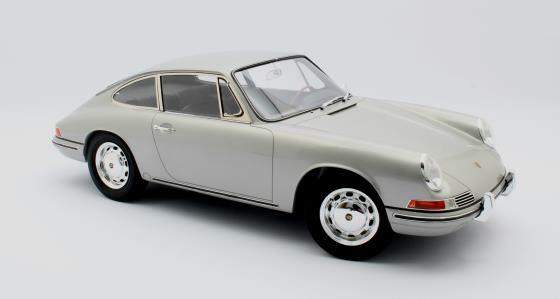 All photographs have been supplied by Matrix and show a very impressive model for Porsche 911 fans. The model will take up a lot of display space as it is well over two feet in length! I wonder how many more very large scale models we will see from resin producers over the next year?